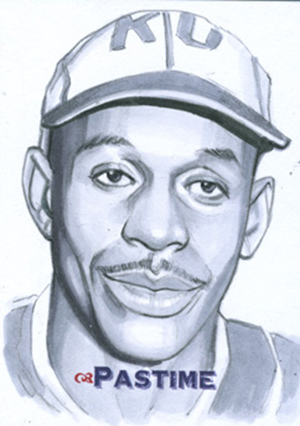 2013 Pastime Collection Enshrined Edition Baseball is all about Hall of Famers. Each box guarantees at least one autograph from a Cooperstown inductee. There's also a Pastime Points card that can be saved and used towards pieces of autographed memorabilia. The final card in the box is either another autograph, a cut signature card, an art card or a redemption for a piece of signed memorabilia. Similar to 2013 Super Box Series 2 Baseball, 2013 Pastime Collection Enshrined Edition Baseball mostly uses items acquired on the secondary market. All autograph cards are either cards previously inserted in other products by companies like Topps, Panini/Donruss and Upper Deck. Other autographed vintage cards have been authenticated by PSA/DNA, JSA or SGC. 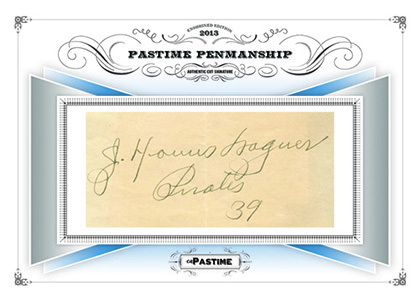 Pastime Penmanship is a series of cut signature cards that fall at least one per case. Names on the checklist cover several generations of baseball. 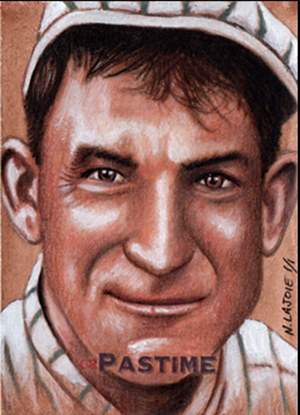 Top names include Honus Wagner, Satchel Paige and Jimmie Foxx. Art Cards go beyond being just sketches. Each is a one-of-one with artists bringing varied looks and styles to the product. The artists are among the most respected in the hobby today. At least one Art Card is guaranteed in every ten-box case. Artist Brent Naughton will then create a 5" by 7" art card based on images picked by the redemption holder. The final product will have the cut signatures embedded into the customized piece of art. 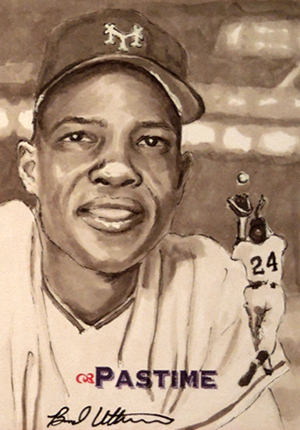 It will also be matted with gold etching and sent in to be authenticated and encapsulated. Pastime Points cards come in a variety of denominations. They work like a loyalty program where collectors can save their points and trade them for pieces of signed memorabilia. 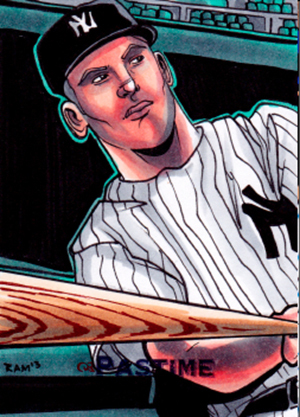 Mickey Mantle, Ted Williams and Joe DiMaggio are among the autographed available through this program. 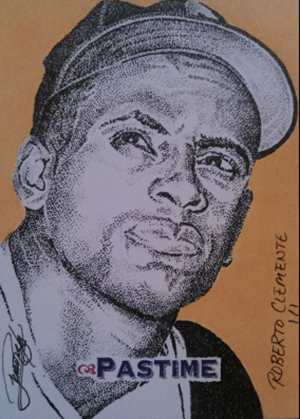 The following artists did art cards for 2013 Pastime Collection Enshrined Edition. The following players have cut signature autographs in 2013 Pastime Collection Enshrined Edition Baseball.